Cross-country riding is all about going fast everywhere on the trails. XC riders want a bike that is lightweight, handles well around the corners, and is stiff in the right plaecs and forgiving in the other places. 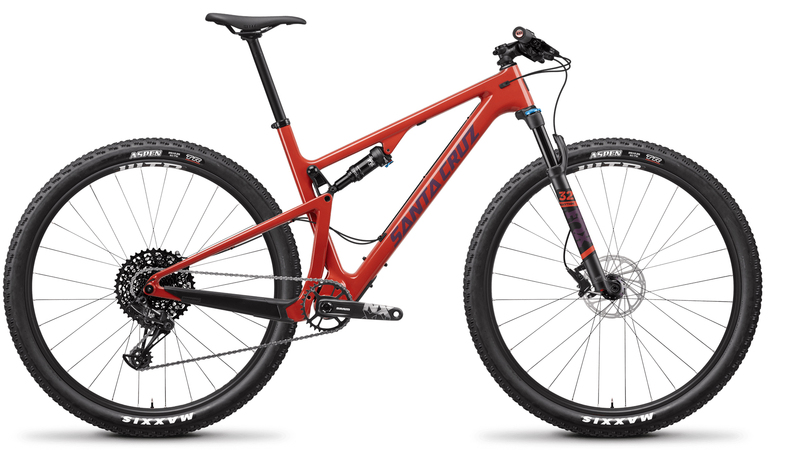 The 2019 Santa Cruz Blur C R Bike is light enough to scorch the trails and tough enough to endure the demands of long distance riding. It starts with a light carbon frame that has 100mm of full-suspension travel. The frame uses an efficient VPP suspension design that gives you an ample amount of thrust while in or out of the saddle. The geometry is built for aggressive XC riding so you can confidently ride long-distances and race to victory. 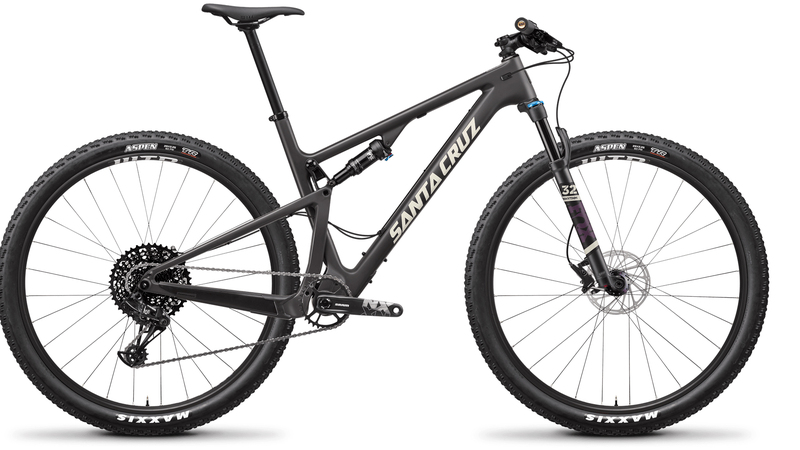 The R version of the Santa Cruz Blur C comes with a SRAM NX Eagle 12-speed drivetrain. That includes a SRAM NX Eagle chain, shifter, rear derailleur, and crankset. The cassette has an outstanding 11-50-tooth gear range which means you can ride in just about any terrain with ease. This is paired with a crankset that comes with a 34-tooth chainring. When you get to the top of the mountain, the SRAM Level T hydraulic disc brakes provide ample stopping power so you can descend with confidence. Fox provides the suspension on the front and rear with the Rhythm 32 and Float Performance DPS that roll over the bumps and reduces fatigue over long rides. Lastly, with the WTB ST i23 rims and the Maxxis Aspen 29" tire, you can easily set them up tubeless for a smoother ride and better traction. Fox Rhythm 32, 100mm, 29"